Coronary heart disease is an important health problem all over the world due to its high mortality and prevalence. Physical, social, psychological and occupational constraints affect individuals' quality of life and self-efficacy perceptions negatively and make difficult adaptation of treatment. Today, the importance of lifestyle changes is emphasized to control risk factors in coronary heart disease. The concept of "self-efficacy" has an important place in achieving and adapting lifestyle changes. Self-efficacy is defined as "the belief that one can initiate an action that can be effective on what is happening around him or her and continue until the outcome is achieved". It is seen that the evidence-based interventions implemented by health personnel are effective in reducing post-discharge complications, increasing the quality of life and self-efficacy levels, and adapting to lifestyle changes. Koroner kalp hastalığı mortalite ve prevalansının yüksek olması nedeniyle tüm dünyada önemli bir sağlık sorunu olarak görülmektedir. Fiziksel, sosyal, psikolojik ve mesleki kısıtlılıklar bireylerin yaşam kaliteleri ve öz yeterlik algılarını olumsuz yönde etkilemekte, tedaviye uyumu güçleştirmektedir. Günümüzde koroner kalp hastalığında risk faktörlerinin kontrol edilmesine yönelik yaşam tarzı değişikliklerinin önemi vurgulanmaktadır. Yaşam tarzı değişikliklerini gerçekleştirme ve uyumu sağlamada “öz yeterlik kavramı” önemli bir yere sahiptir. Öz yeterlik "kişinin çevresinde olup bitenler üzerinde etkili olabilecek biçimde bir edimi başlatıp sonuç alıncaya kadar sürdürebileceğine olan inanç olarak" tanımlanmaktadır. Sağlık personeli tarafından uygulanan kanıta dayalı girişimlerin taburculuk sonrası komplikasyonları azaltma, yaşam kalitesi ve öz yeterlik düzeylerini artırma ve yaşam tarzı değişikliğine uyumu sağlamada etkili olduğu görülmektedir. Akgün F (2013) Öğretmen adaylarının web pedagojik içerik bilgileri ve öğretmen öz-yeterlik algıları ile ilişkisi. Trakya Üniversitesi Eğitim Fakültesi Dergisi, 3:48-58. Amsterdam EA, Wenger NK, Brindis RG, Casey DE Jr, Ganiats TG, Holmes DR Jr et al. (2014) 2014 AHA/ACC Guideline for the Management of Patients with Non-ST-Elevation Acute Coronary Syndromes: a report of the American College of Cardiology/American Heart Association Task Force on Practice Guidelines. J Am Coll Cardiol, 64:e139-e228. Anderson L, Taylor RS (2014) Cardiac rehabilitation for people with heart disease: an overview of Cochrane systematic reviews. Cochrane Database Syst Rev, 12:CD011273. Bandura A (1977) Self-efficacy: toward a unifying theory of behavioral change. Psychol Rev, 84:191-215. Bandura A (1994) Self-efficacy. In Encyclopedia of Human Behavior (Ed VS Ramachandran):71-81. New York, Academic Press. Bandura A (1997) Self-efficacy: the Exercise of Control. New York, W.H. Freeman. Berkhuysen MA, Nieuwland J, Buunk BP, Sanderman R, Rispens P (1999) Change in self-efficacy during cardiac rehabilitation and the role of perceived overprotectiveness. Patient Educ Couns, 38:21–32. Beswick AD, Rees K, West RR, Taylor FC, Burke M, Griebsch I et al (2005) Improving uptake and adherence in cardiac rehabilitation: literature review. J Adv Nurs, 49:538–555. Black JT, Romano PS, Sadeghi B, Auerbach AD, Ganiats TG, Greenfield S et al. (2014) A remote monitoring and telephone nurse coaching intervention to reduce readmissions among patients with heart failure: study protocol for the Better Effectiveness After Transition Heart Failure (BEAT-HF) randomized controlled trial. Trials, 15:124. Brus H, Van de LM, Taal E, Rasker J, Wiegman O (1999) Determinants of compliance with medication in patients with rheumatoid arthritis: the importance of self-efficacy expectations. Patient Educ Couns, 36:57–64. Carroll DL, Rankin SH (2006) Comparing interventions in older unpartnered adults after myocardial infarction. Eur J Cardiovasc Nurs, 5:83–92. Chen YJ (2005) The influence of physiological factors, psychological factors, and informal social support on hospital readmission in discharged patients with chronic obstructive pulmonary disease (COPD) in Taiwan (Doctoral dissertation). Cleveland, OH, Case Western Reserve University. Clark NM, Dodge JA (1999) Exploring self-efficacy as a predictor of disease management. Health Educ Behav, 26:72-89. Davies P, Taylor F, Beswick A, Beswick A, Martin N, Ebrahim S (2010) Promoting patient uptake and adherence in cardiac rehabilitation. Cochrane Database Syst Rev, 7:CD007131. Dolansky MA, Zullo MD, Boxer RS, Moore SM (2011) Initial efficacy of a cardiac rehabilition transition program. J Gerontol Nurs, 37:36-44. Dougherty CM, Thompson EA, Lewis FM (2005) Long-term outcomes of a telephone intervention after an ICD. Pacing Clin Electrophysiol, 28:1157-1167. Du HY, Everett B, Newton PJ, Salamonson Y, Davidson PM (2011) Self-efficacy: a useful construct to promote physical activity in people with stable chronic heart failure. J Clin Nurs, 21:301–310. Duru E (2008) Uyum zorluklarını yordamada yalnızlık, sosyal destek ve sosyal bağlılık arasındaki ilişkilerin analizi. Kuram ve Uygulamada Eğitim Bilimleri, 8:833-856. Eshah NF, Bond E (2009) Cardiac rehabilitation programme for coronary heart disease patients: an integrative literature review. J Nurs Pract, 15:131–139. Fors A, Ulin K, Cliffordson C, Ekman I, Brink E (2015) The Cardiac Self-Efficacy Scale, a useful tool with potential to evaluate person-centred care. Eur J Cardiovasc Nurs, 14:536-543. Garnefski N, Kraaij V, Schroevers MJ, Aarnink J, van der Heijden DJ, van Es SM et al (2009) Cognitive coping and goal adjustment after first-time myocardial ınfarction: relationships with symptoms of depression. Behav Med, 35:79-86. Genç F (2005). Kemoterapi alan akciğer kanserli hastalarda görülen semptomlar ve başaçıkma tarzları (Yüksek lisans tezi). Erzurum, Atatürk Üniversitesi. Gençöz F. (1998) Uyum psikolojisi. Kriz Dergisi, 6(2):1-7. Gleeson B (1991) After myocardial infarction how to teach a patient in denial. Nursing, 21:48-55. Go AS, Mozaffarian D, Roger VL, Benjamin EJ, Berry JD, Blaha MJ et al. (2014)Heart disease and stroke statistics-2014 update: a report from the American Heart Association. Circulation, 129:e28–e292. Graham I, Atar D, Borch-Johnsen K, Boysen G, Burell G, Cifkova R et al. (2007) European guidelines on cardiovascular disease prevention in clinical practice: executive summary: Fourth Joint Task Force of the European Society of Cardiology and Other Societies on Cardiovascular Disease Prevention in Clinical Practice (Constituted by representatives of nine societies and by invited experts). Eur Heart J, 28:2375-2414. Güneş N, Sevim ME, Özden SY (2002) Akut miyokard enfarktüsü sonrası depresyon ve anksiyete sıklığı. Türk Aile Hekimliği Dergisi, 6:69-72. Hacıhasanoğlu R (2009) Hipertansiyonda tedaviye uyumu etkileyen faktörler. Turk Silahlı Kuvvetleri Koruyucu Hekim Bul, 8:167-172. Hanssen TA, Nordrehaug JE, Hanestad BR (2005) A qualitative study of the information needs of acute myocardial infarction patients, and their preferences for follow-up contact after discharge. Eur J Cardiovasc Nurs, 4:37-44. Hanssen TA, Nordrehaug JE, Eide GE, Hanestad BR (2009) Does a telephone follow-up intervention for patients discharged with acute myocardial infarction have long-term effects on health-related quality of life? a randomised controlled trial. J Clin Nurs, 18:1334–1345. Hawkes AL, Patrao TA, Atherton J, Ware RS, Taylor CB, O'Neil A et al. (2013) Effect of a telephone-delivered coronary heart disease secondary prevention program (proactive heart) on quality of life and health behaviours: primary outcomes of a randomised controlled trial. Int J Behav Med, 20:413-424. 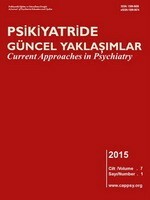 Ilić S, Apostolović S (2002) Psychological aspects of cardiovascular diseases. Medicine and Biology, 9:138-141. Irmak Z, Fesli H (2005) Sekonder koruma eğitim programının miyokard enfarktüsü geçiren hastaların bilgi düzeyine etkisi. Hacettepe Üniversitesi Hemşirelik Yüksekokulu Dergisi, 12(2):14–25. Jackson D (2010) How personal trainers can use self-efficacy theory to enhance exercise behavior in beginning exercisers. Strength Cond J, 32(3):67-71. Jensen BO, Petersson K (2003) The illness experiences of patients after a first time myocardial infarction. Patient Educ Couns, 51:123–131. Kang Y, Yang I (2013) Cardiac self-efficacy and its predictors in patients with coronary artery diseases. J Clin Nurs, 22:2465-2473. Karmali KN, Davies P, Taylor F, Beswick A, Martin N, Ebrahim S (2014) Promoting patient uptake and adherence in cardiac rehabilitation. Cochrane Database Syst Rev, 6:CD007131. Katch H, Mead H (2010) The role of self-efficacy in cardiovascular disease self-management: a review of effective programs. Patient Intell, 2:33–44. Kaya C (2013) Gebelerde ebeveyn uyum desteği programının ebeveyn öz yeterlik algıları üzerine etkileri (Doktora tezi). İstanbul, İstanbul Üniversitesi. Keeling AW, Dennison PD (1995) Nurse-initiated telephone follow-up after acute myocardial infarction: a pilot study. Heart Lung, 24:45-49. Kep AS, Kritpracha NC, Thaniwattananon P (2013) Cardiac rehabilitation enhancing programs in patients with myocardial infarction: a literature review,. Nurse Media Journal of Nursing, 3:541-556. Kurbanoğlu S (2004) Öz-yeterlik inancı ve bilgi profesyonelleri için önemi. Bilgi Dünyası, 5:137-152. LaPier TK, Cleary K, Kidd J (2009) Exercise self-efficacy, habitual physical activity, and fear of falling in patients with coronary heart disease. Cardiopulm Phys Ther J, 20(4):5-11. Larsen KK (2013) Depression following myocardial infarction--an overseen complication with prognostic importance. Dan Med J, 60(8):B4689. Lau-Walker M (2007) Importance of illness beliefs and self-efficacy for patients with coronary heart disease. J Adv Nurs, 60:187–198. Lazarus RS, Folkman S (1984) Stress, Appraisal and Coping. New York, Springer. Leemrijse CJ, van Dijk L, Jørstad HT, Peters RJ, Veenhof C (2012) The effects of Hartcoach, a life style intervention provided by telephone on the reduction of coronary risk factors: a randomised trial. BMC Cardiovasc Disord, 12:47. Lorig KR, Sobel DS, Ritter PL, Laurent D, Hobbs M (2001) Effect of a self-management program on patients with chronic disease. Eff Clin Pract, 4:256-562. Lurie I, Myers V, Goldbourt U, Gerber Y (2015) Perceived social support following myocardial infarction and long-term development of frailty. Eur J Prev Cardiol, 22:1346-1353. Marks R, Allegrante JP, Lorig KA (2005) A review and synthesis of research evidence for self-efficacy enhancing interventions for reducing chronic disability: implications for health education practice (part II). Health Promot Pract, 6:148–156. Mierzyńska A, Kowalska M, Stepnowska M, Piotrowicz R (2010) Psychological support for patients following myocardial infarction. Cardiol J, 17:319–324. Nichols M, Townsend N, Luengo-Fernandez R, Leal J, Gray A, Scarborough P, Rayner M (2012) European Cardiovascular Disease Statistics 2012. Brussels, European Heart Network. Nordin M, Andersson L, Nordin S (2010) Coping strategies, social support and responsibility in chemical intolerance. J Clin Nurs, 19:2162–2173. O’Leary A (1985) Self-efficacy and health. Behav Res Ther, 23:437-451. O’Neil A, Berk M, Davis, J, Stafford L (2013) Cardiac-self efficacy predicts adverse outcomes in coronary artery disease (CAD) patients. Health, 5: -14. Onat A (2017) Tıp Dünyasının Kronik Hastalıklara Yaklaşımına Öncülük. İstanbul, Logos Yayıncılık. Özgen K, Bindak R (2011) Lise öğrencilerinin matematik okuryazarlığına yönelik öz-yeterlik inançlarının belirlenmesi. Kuram ve Uygulamada Eğitim Bilimleri, 11:1073-1089. Phillips P (2014) Telephone follow-up for patients eligible for cardiac rehab: a systematic review. Br J Cardiac Nurs, 9186-9197. Sağlık Bakanlığı (SB) (2015) Türkiye Halk Sağlığı Kurumu, obezite, diyabet ve metabolik hastalıklar daire başkanlığı, Available from http://www.saglik.gov.tr/TR/ana-sayfa/1-0/20150325.html. Access date 10.3.2015. Sarkar U, Ali S, Whooley MA (2007) Self-efficacy and health status in patients with coronary heart disease: findings from the heart and soul study. Psychosom Med, 69:306–312. Sevinç S, Eşer İ (2011) Miyokard enfarktüsü geçirmiş hastaların ikincil korunma davranışları. İstanbul Üniversitesi Florence Nightingale Hemşirelik Dergisi, 19:135-144. Snyder CR, Crowson JJ (1998) Hope and coping with cancer by collage women. J Pers, 66 195-214. Sol GM, Graaf Y, Petersen R, Visseren F (2011) The effect of self-efficacy on cardiovascular lifestyle. Eur J Cardiovasc Nurs, 10:180–186. Steg PG, James SK, Atar D, Badano LP, Blömstrom-Lundqvist C, Task Force on the management of ST-segment elevation acute myocardial infarction of the European Society of Cardiology (ESC) et al. (2012) ESC Guidelines for the management of acute myocardial infarction in patients presenting with ST-segment elevation. Eur Heart J, 33:2569-2619. Storm V, Dörenkämper J, Reinwand DA, Wienert J, Vries HD, Lippke S (2016) Effectiveness of a web-based computer-tailored multiple-lifestyle ıntervention for people ınterested in reducing their cardiovascular risk: a randomized controlled trial. J Med Internet Res, 18:e78. Sullivan MD, Lacroıx AZ, Russo JR, Katon WJ (1998) Self-efficacy and self-reported functional status in coronary heart disease: a six-month prospective study. Psychosom Med, 60:473-478. Taylor B (2003) Social support for patients after myocardial infarction. J Cardiopulm Rehabil, 23:413 -414. Taylor RS, Dalal H, Jolly K, Moxham T, Zawada A (2010) Home-based versus centre-based cardiac rehabilitation. Cochrane Database Syst Rev, 1:CD007130. Thygesen K, Alpert JS, Jaffe AS, Simoons ML, Chaitman BR, White HD et al. (2012) Third universal definition of myocardial infarction. Circulation, 2012;126:2020-2035. Timmins F, Kaliszer M (2003) Information needs of myocardial infarction patients. Eur J Cardiovasc Nurs, 2:57–65. Tuomaala MS, Kurki A, Rekiaro M, Paavilainen E (2012) Coping experiences: a pathway towards different coping orientations four and twelve months after myocardial infarction-a grounded theory approach. Nurs Res Pract, 2012:674783. Türkmen SN, Çam MO (2012) Miyokart enfarktüsü geçirmiş hastalarda psikoeğitimin psikososyal uyum üzerine etkisinin değerlendirilmesi. Psikiyatri Hemşireliği Dergisi, 3(3):105-115. Uzun M (2007) Kardiyak rehabilitasyonda hasta eğitimi ve egzersiz. Anadolu Kardiyol Derg, 7:298-304. Voils CI, Yancy WS Jr, Kovac S, Coffman CJ, Weinberger M, Oddone EZ et al. (2009). Study protocol: Couples Partnering for Lipid Enhancing Strategies (CouPLES) - a randomized, controlled trial. Trials, 10:10. Whalley B, Rees K, Davies P, Bennett P, Ebrahim S, Liu Z et al. (2011) Psychological interventions for coronary heart disease. Cochrane Database Syst Rev, 8:CD002902. White S, Bissell P, Anderson C (2010) Patients’ perspectives on cardiac rehabilitation, lifestyle change and taking medicines: implications for service development. J Health Serv Res Policy, 15(Suppl 2):47-53. Woodgate J, Brawley LR (2008) Self-efficacy for exercise in cardiac rehabilitation review and recommendations. J Health Psychol, 13:366–387. Yan J, You LM, Yang Q, Liu B, Jin S, Zhou J et al. (2014) Translation and validation of a Chinese version of the 8-item Morisky medication adherence scale in myocardial infarction patients. J Eval Clin Pract, 20(4):311-317. Yıldırım F, İlhan Ö, (2010) Genel özyeterlilik ölçeği Türkçe formunun geçerlik ve güvenilirlik çalışması. Turk Psikiyatri Derg, 21:301-308. Zotti AM, Balestroni G, Cerutti Ferrario SR, Angelino E, Miglioretti M (2007) Application of the general perceived self-efficacy scale in cardiovascular rehabilitation. Monaldi Arch Chest Dis, 68:178-183.